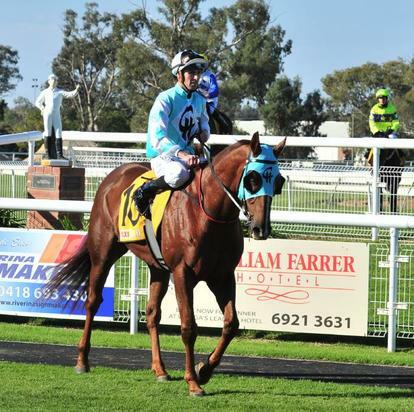 Wagga trainer Chris Heywood captured back-to-back Parkes Cups on Sunday. Heywood enjoyed a day out at Parkes, training a winning treble courtesy of Class Clown ($3.80), Delivered ($3.00) and Fermanagh Lad ($4.00). Class Clown went to the front and kicked strongly to take out the $30,000 Parkes Services Cup Parkes Cup (1600m). He combined with son Nick to win the Cup. Heywood won the race last year with the recently retired Leucura. The treble continued a good run of form for the Heywood stable, who enjoyed success on both big days of the Wagga Gold Cup carnival. Grant Buckley and Mick Travers rode Delivered and Fermanagh Lad to victory.